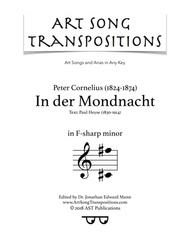 Composed by Peter Cornelius (1824-1874). For voice and piano. Language: German. 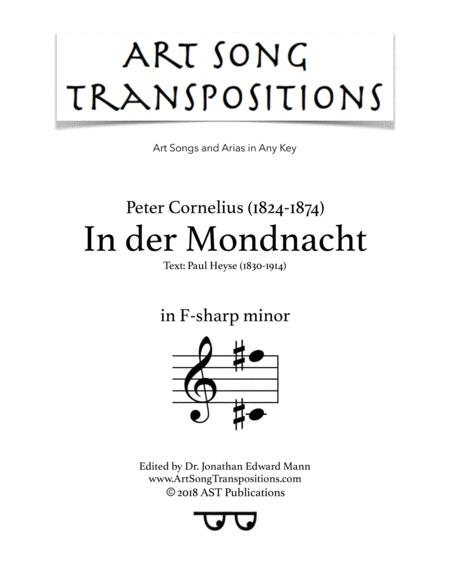 TRANSPOSED to F-SHARP MINOR. Published by www.ArtSongTranspositions.com, © 2018.